The BEF are cautiously optimistic that after analysis of thousands of samples by the Animal Health Trust, there have been no further positive tests since the weekend. The BEF strongly recommend that owners ensure that their vaccinations are up to date – if it has been longer than six months since the last vaccination, they recommend you discuss a booster with your veterinary surgeon. As has been demonstrated in this outbreak, vaccinations are vital in tackling the spread of the disease. Therefore they recommend strongly that unvaccinated horses do not mix with other horses. 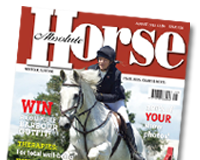 The advice remains that you MUST NOT take your horse to an event or competition if horses at your yard are unwell.